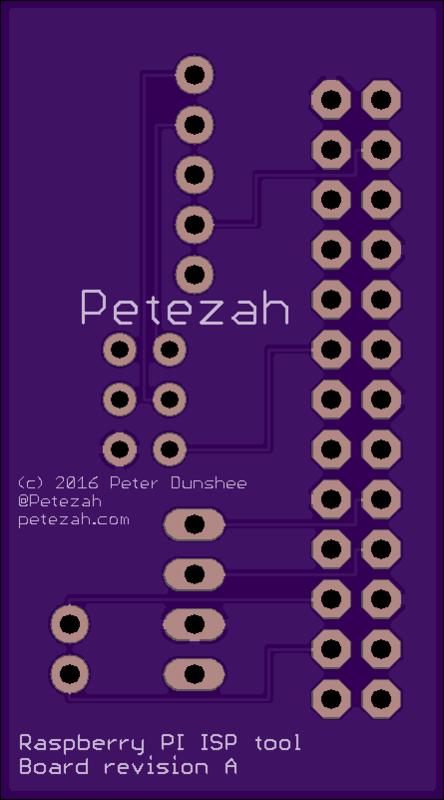 2 layer board of 0.89 x 1.60 inches (22.6 x 40.6 mm). Uploaded: June 24th, 2016 18:34. ISP reset pin is the GPIO 22 signal from the Raspberry Pi. Attempted to use the hardware SPI SS pin for this, but it does not work as desired. 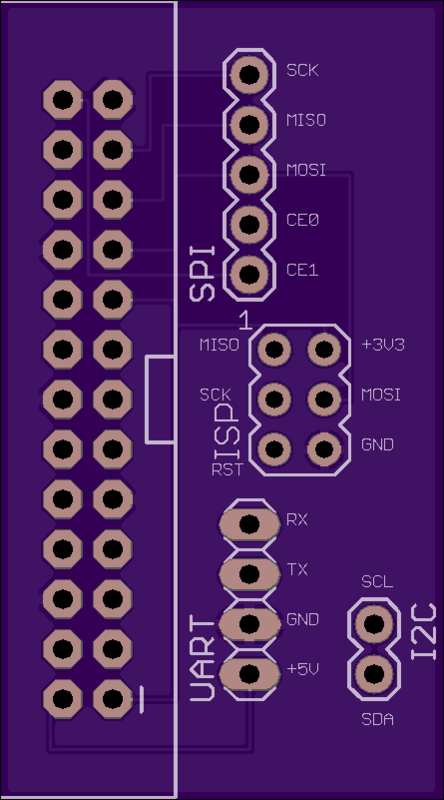 Feel free to experiment on your own; the SS pins are available on the SPI header.